Quality service disabled veteran owned small business with general healthcare and pharmaceutical marketing expertise. A full-service and strategy firm capable of developing and executing health marketing campaigns. 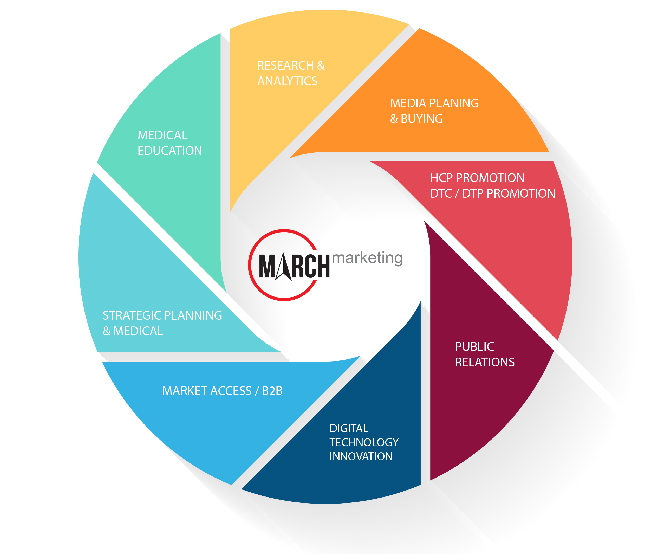 MARCH Marketing is a big agency team in a small business package. Most of the team are big agency veterans from Leo Burnett, Havas Health, Edelman, and Weber Schandwick. We bring healthcare marketing experience to include healthcare products and pharmaceuticals. Helping health companies market to the veteran population based on their unique healthcare needs or veteran affinity/cultural insights. 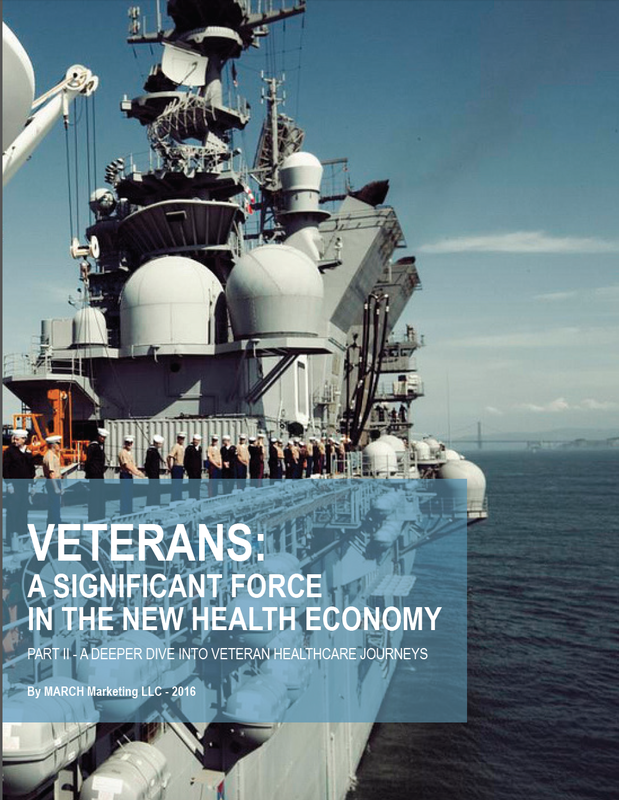 2 reports provide a more comprehensive view of Military Veterans and their healthcare needs than ever before. Part 1 – identifies the extent of maladies and conditions that Military Veterans have and dives into how they currently treat and meet their healthcare needs. Developed profiles for many significant conditions that our veterans are faced with. Part 2 – delves deeper into the “whys” related to Military Veteran healthcare behaviors, and how programs like the Veterans’ Choice (Outsourcing) Program and others will affect their current actions. 49.9% of Americans over age 75 (about 9.7 million) are veterans or spouses/widows of veterans.